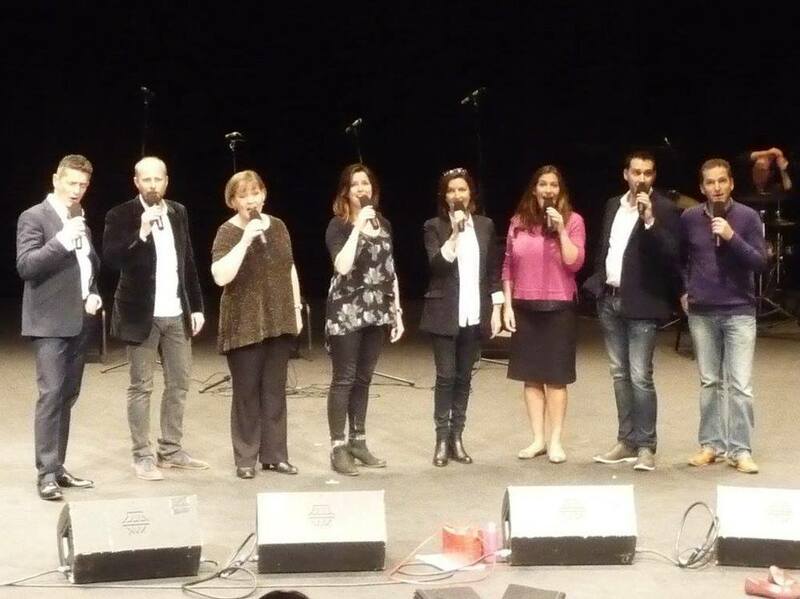 On the 19th of September, 2015, two days before what would have been Ward Swingle's 88th birthday, 43 current and former Swingle Singers, took to the stage at the Mermaid Theatre in London, to perform a variety of his arrangements. It was an amazing evening, filled with joy, tears and of course phenomenal music performed by exceptional singers. Below are a few pictures of that amazing night!